By Regina Villiers. Originally published November 5, 1997 in The Suburban Life, added November 17, 2018. Russell Ward started his World War II service at Camp Robinson in Little Rock, Arkansas. He received the Bronze Star for heroic action at the Battle of Davao City at Mindanao. Dallas Burton served on the USS San Jacinto which took part in seven major battles in the South Pacific and was awarded the Presidential Citation. later, its heroes, storied, songs, movies and books are remembered with nostalgia and, sometimes, tears. It began Sept.1, 1939, when Germany invaded Poland. It lasted six years and a day, ending Sept. 2, 1945, on board the battleship, Missouri, when President Harry Truman signed and accepted the formal surrender. During that time, 27 nations took an active part, and the losses in both human and material terms were staggering. But freedom around the world had been preserved. The U.S. entered the war after the Japanese attack on Pearl Harbor, Dec. 7, 1941. American servicemen and women immediately signed up, or were drafted, to be sent to battlefields all over the world. They were sent to places many of them had seen mentioned only in geography books, and many of them had never heard the names of their destinations. But today, the names of these far away places and all the stories and the numbers are still etched in the minds of these veterans. Without hesitation, if you talk to them, the names and statistics spew forth. It’s information they cannot forget. “I was in the 103rd Training Battalion, Co. C, Medical Corps,” Russell Ward begins. His voice is firm, and there is no struggling for details. Russ, a retired Madeira police officer, now lives in Madeira with Betty, his wife of 55 years, next door to their son, Roger. It’s the good life. But on Jan. 26, 1942, just after Pearl Harbor, he enlisted in the Army. He was sent to Camp Robinson in Little Rock, Ark. Later that year, Betty joined him, and they were married. From there, he was sent to Louisiana, where he was shipped out to New Guinea. After that, he saw action in the Philippines at Luzon, Mindanao, and then Borneo. He was awarded the Bronze Star for heroic action at the Battle of Davao City in Mindanao. Russ says he went through the war “without a scratch.” Sgt. Russell Ward came out of the Army in January 1946, after four years, much of it on active duty. Emery Gardner of Madeira also served in the Army in WWII for more than four years without a scratch. He served in the 9th Armored Division, 2nd Medical Battalion. He served in the European Theater of Operations for more than a year and saw action from D-Day to Berlin. The war often took an extra toll on families. Emery had two brothers in the service, making three of them overseas at the same time. 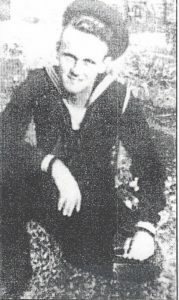 Dallas Burton, a WWII veteran, also had a brother, Donald, who is a Naval veteran of the war. Dallas, a retired businessman, went into the Navy just after graduating from high school in 1943. 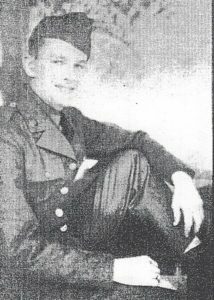 Other than his basic training at Great Lakes, and some time spent in gunnery school at Providence, Rhode Island, and at Virginia Beach, he was on the same ship in the South Pacific until he was discharged in 1946. That ship was the aircraft carrier USS San Jacinto, also the ship of former U.S. President Georg Bush. Dallas remembers going through the Panama Canal (“an amazing sight”) and on to San Diego, then to Pearl Harbor. His job, and that of his shipmates, was to end the war in the Pacific. His ship took part in seven major engagements and was awarded the Presidential Citation. Dallas was at Midway, Guadal-canal. Guam, Saipan, Okinawa, Luzon, and Iwo Jima, among other places. He ended up in the China Sea. On the way home, not far from the Golden Gate Bridge, he, on his ship, and his brother, Donald on his destroyer, passed like “ships in the night.” He saw his brother’s ship, but not his brother. Ed Gallenstein, now a magazine editor, after a long career at The Cincinnati Enquirer, is also a WWII veteran of the Navy. He served for two years in fleet Air Wing Four. He was sent to Attu, the farthest island out. And maybe the coldest and the grayest. “The wind was so strong that it rained horizontally,” he said. After Attu, he was sent to Adak, a Naval Operations Base, to utilize his printing and publishing skills to do the government printing for the islands. Ed’s brother, Frank Gallenstein, also in the Navy, was on a destroyer and took part in the invasion of Okinawa. John Collopy, now retired and living in Madeira, almost was ready to graduate from Xavier University when he went into the Army in 1942. He saw active duty at Leyte and Manila and at various other locations in the Pacific. After he was discharged, he went back to Xavier and finished the one course he needed for graduation. Richard Valentiner is a veteran of the U.S. Army Air Corps in World War II. He went in on May 17, 1943, and was discharged November 1945. A pilot, he flew B-25 and B-17 bombers. He was ready to be sent on active duty when the atom bomb ended the war. These are but a few of the WWII veterans still with us. There are others, but their ranks thin each year. This Veterans Day let us remember them, and all the hundreds of thousands like them. Each did his part, and together, they preserved the world for all of us today.